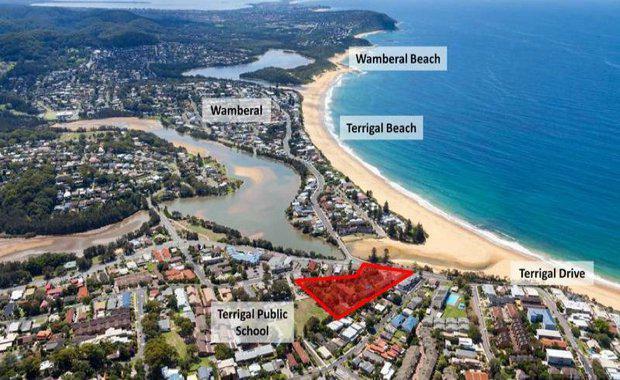 A Europe based investor has snapped up a Terrigal development site with beachside views for $9.6 million - representing $147,000 per unit site and the area's highest value residential development site sale in over 15 years. Located at 156-160 Terrigal Drive, the 10,059 sqm site benefits from extensive 77m frontage to Terrigal Drive, vast beach views and positioning close to retail amenities and transport services. The site has been occupied by the Country Comfort Motel since the 1980s and given the high level of buyer interest in the Terrigal area recently it was deemed an ideal time to divest. CBRE’s Anthony Bray negotiated the sale via an Expressions of Interest campaign. Mr Bray said the site received strong interest from local and offshore parties, with both groups recognising the strong investment and earning potential of the Central Coast region. “The high sales price represents the increasing value of land with development potential in the Central Coast area, as offshore groups become more willing to secure residential development opportunities outside Sydney,” Mr Bray said.